Ben the 'passing tramp' was immortalised on film by Alfred Hitchcock in 'Number 17', based on a popular 'twenties stage play and novelisation by journalist-turned-author Joe Jefferson Farjeon. The House Opposite (1931) was the first full-length original novel to feature Ben, a reluctant down-at-heels Cockney sleuth, who went on to feature in six more successful detective thrillers from 1931 to 1952. This Detective Story Club classic includes an introduction by H. R. F. Keating, author of the award-winning Inspector Ghote mysteries, which first appeared in the Crime Club's 1985 'Disappearing Detectives' series. 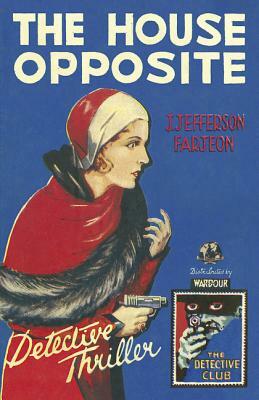 J. Jefferson Farjeon (1883-1955) was the author of more than 60 crime and thriller novels. His work was highly acclaimed in his day. He is now best known as the author of the bestselling "Mystery in White," and also "No.17," a play that was brought to the big screen by Alfred Hitchcock and led to the series of popular 'Ben' detective novels.